(Stillness in the Storm Editor) The following is a detailed and in-depth conceptual organization of the density system used by the Law of One material and popularized in the fields of alternative research and metaphysics. In addition, descriptions of the service to others and service to self modalities are explored with emphasis on enhancing the reader's comprehension of these foundational concepts of consciousness. Several readers have sent me this information before but I hadn't reviewed it until recently, and I was impressed by the clarity, succinctness, and form that his presentation style uses. Montalk's very logical and scientific approach is helpful in comprehending often difficult to understand and sometimes poorly expressed metaphysical knowledge in a clear and concise way. For those seeking to gain a clearer picture of the spiritual laws of creation and how they manifest in the cosmos, the following is an excellent resource. Montalk's descriptions in this regard are quite useful, which I will add to for furthered understanding. These terms are used interchangeably within the awakening community by and large. And within a common vernacular there’s nothing wrong with that. However, there is a distinct difference between density and dimension insofar as objective phenomenon. Dimension refers to a polarization of potentials. Simply put, up and down, left and right, back and forth. These are 3 dimensions we use every day. In time, dimensions are forward and back in experience and potential futures. Time provides the context for space to be experienced and vice versa, which can be explored via consciousness. In any case, the Law of One refers to 3 spatial and 3 temporal dimensions. For simplicity, just consider 3 spatial dimensions, forward and back, right and left, up and down. The same dimensions operate within all the densities. Whether you are in 1st or 7th density, forward and back, right and left, up and down are still there. In short, dimension refers to one's location in time and space, whereas density refers to the activity in an individual, their vibrational quality. Now densities are different in that they refer to concentration. For example, 1 cup of water with 1 tablespoon of salt has less salinity than ½ cup of water with 1 tablespoon of salt. The saltier water is more dense; it has a greater density of salt. Within the Law of One, density refers to concentration and activation level of consciousness, which is often referred to as ones vibrational quality of frequency in awakening circles. The degree to which a unique spark of the creator has evolved within the creation is essentially what the term density describes, and often used in relation to a planet or civilization's attainment level. For Gaia, she is undergoing a type of developmental or gestational process during the current 3D experience, but in 4D she "wakes up" and becomes an active player in the planet's evolutionary track. She works in harmony with the creatures living on her to effect undreamed of plans of creation, unique to this world and of a divine and ultimate purpose that boggles our concepts of what life will be like in this future time. In the Law of One, the densities are divided by certain boundaries or conditions that need to be satisfied in order to progress; however, the divisions in general are more fluid than rigid. For a 3D shift, the density of choice, individuals have to choose to become either Service to Others or Service to Self; and the aggregate choice imprints onto Gaia, who then chooses to evolve in that direction. Once this choice is made and the process is complete (which we are going through at this time) then Gaia will shift and the so-called 100th Monkey effect will be at its strongest, causing a divergence and confluence of energies at a consciousness level that pushes everyone, including Gaia, where they ought to be in the frequency spectrum or density system. If you are service to self you’ll go to a 4D world, but die here first in a cataclysmic event of some kind. Again, all according to the Law of One. Only 95% Service to Self individuals go to a 4D negative world; 51% Service to Self will die and reincarnate on a different planet in a 3D reality; 51% Service to Others will ascend with Gaia to a 4D positive sphere. In the higher densities, dimension still exists, there’s still 3 spatial dimensions, but the consciousness within those 3 dimensions is expanded, like a fractal. If you Google fractal mathematics, look for the image with the iterations expressed in different forms, either triangles, pentagons, or squares, etc. The image can be used as an allegory for the understanding the difference between dimension and density. Each iteration can be thought of as a density, while the shape being iterated represents dimension. The first density is the initial iteration, the second is the next, and so on. Notice how the original shape of the triangle, square or what have you, is maintained as the iterations progress. The shape itself represents dimension, which remains constant, whereas the detail within the shapes and their respective iterations represent density. Getting back to the Law of One model of consciousness, dimension is constant, there are always 3 dimensions of space and time (until you transcend that of course), and as you work your way up the densities, your consciousness expands and grows to fill the inner space within the fractal analogy we discussed earlier—hence becoming denser. Lastly, from what I can tell, those who refer to the 4th and 5th dimension are actually referring to a concept of density. There are only 3 spatial dimensions and 3 temporal dimensions. To date, I haven't heard, read, or seen anyone actually speak about more than these. Now in physics, they do use the idea of imaginary orthogonal dimensions, a spatial dimension that is at right angles to the 3 spatial we normally know. But in my humble opinion, these mathematical extrapolations have nothing to do with the concepts described in the Law of One and other works. Over a decade later, another group using an Ouija board made contact with another “sixth density social memory complex” calling itself the Cassiopaeans. The resulting Cassiopaean Transcripts(1994-2002) greatly expanded upon the Ra Material system and introduced the acronyms STS and STO. Both channeling conduits were brought to an end by sustained attrition by dark occult forces aiming to corrupt, disrupt, or close the conduits (see Epilogue to the Law of One books and myCassiopaea warning). Channeling is dangerous and most channeling out there is disinformation. Yet, despite the dangers of channeling, with high quality material the risks are offset by the reward of novel information that simply cannot be found in other “safer” material. For example, an academic study on the UFO phenomenon might represent the hardest proof but weakest novelty, spanning hundreds of pages but barely saying anything deep due to the timid nature of such modes of inquiry. Good channeling, on the other hand, is maximum novelty but minimum proof. The proof comes from its effectiveness when applied and tested, rather than from footnotes and citations. This is a difficult but necessary lesson to all who are progressing in an STO direction but are still in contact with STS environments and beings. People who are loving, compassionate, and kind but who lack strength, discernment, and wisdom will encounter human and non-human predators who initiate some very painful learning lessons. Higher feelings are not enough, one also needs higher intelligence, for the higher aspect of one’s being has both a higher heart and a higher mind. In other words, the higher emotional and higher intellectual centers must both be actualized to secure anSTO state. Note that there are plenty of anecdotes of divine forces “coming down” to deal with demons or pluck someone in a near death experience out from the lower astral realms, so it’s not like STObeings by virtue of their soul resonance differences cannot ever enter an STS realm. They can and do when necessary. 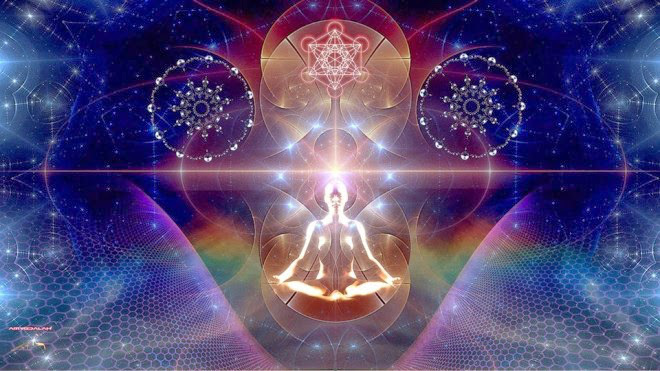 However, as mentioned earlier, STS seemingly cannot enter the STO realm, for they cannot make it far before they lose their energy and cohesion upon encountering the higher vibratory energies. Therefore higher density STO don’t have to worry about defending themselves as much as we do. Since the STS mode of existence comes with a deep seated ignorance and denial of one’s true nature and place within the divine framework, it’s doubtful that STS forces fully understand the STOway of thinking and being. They might be aware of the existence of STO groups, but perceive them as an intimidating enigma to be reckoned with. At worst, they view the STO forces as an annoyance or serious threats depending on how much their activities interfere with their own. If a region like North America is under STS alien and black ops jurisdiction, then unauthorized STO activities here that directly undermine their agenda is treated as a threat. Shadow military using alien technology shoot down STO crafts for that reason, all the while working directly with the STS alien factions that control them or give mutual materiel support. If an STO alien group wishes to operate here, they would either have to do it covertly or with permission, and the latter comes with strings attached. Permission would be granted if there is potential gain for presiding STSauthorities. In rare circumstances, this may include working with them, or working directly under their supervision. So it’s not usually STO and STS working together in the sense of old friends having tea and playing chess, or one playing good cop and the other bad cop while behind the scenes they are buddies, but rather STS carrying out its psychopathic agenda while STO allows, cooperates, or makes concessions on the slim chance that it could backfire on the STS forces and bring about a more positive outcome than otherwise achievable had that gamble never been taken. STO forces, in being aligned with the divine will and not being blinded by the denial, ignorance, and delusion of the STSpathway, can see outcomes that the STS cannot. Therefore they (or rather the divine intelligence they are serving) are given to using the little things like synchronicity or butterfly effect to confound and ultimately throw the best laid plans of the STS forces awry despite the latter’s seemingly superior (to us humans) logistics, technology, infrastructure, and calculations. STS function more deterministically, STO more synchronistically. However, the Cassiopaeans say there still exists a “thought-form reflection” of the STS archetype in 6D, whom the reptilians worship and is called by some Ormethion (from Greek hormonmeaning “that which sets in motion”, horman “impel, urge on”, and horme “onset, impulse”). In short, it is identically the Corrupt Demiurge that I discussed in my Gnosis series. In the latter half of 2D, the animal kingdom develops, which has acquired an astral body in addition to the etheric and physical. So upper 2D is associated with the first stirrings of theastral.